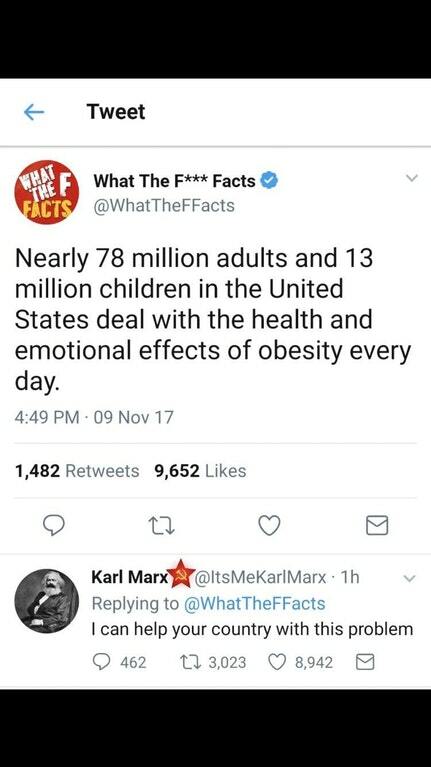 I sometimes feel guilty when I mock communism. Should I really be joking about an ideology that directly or indirectly caused 100 million deaths? Are laughs appropriate when there is ongoing torture, abuse, and starvation in communist hellholes such as North Korea and Cuba? Seems on the same level as cracking jokes about the holocaust. But I think there’s a difference. Adolf Hitler’s National Socialist Workers Party is gone and every single educated and civilized person agrees we never want something similar to reemerge. By contrast, there are still modern-day Marxists. They’re in the Antifa movement. There are Marxist professors with tenure on college campuses. I certainly don’t think it’s a dominant ideology on the left, but there are far too many Marxists and Marxist apologists. Indeed, this is why I think there’s a big difference between liberal socialism and Marxist socialism. Anyhow, I’ll continue to share anti-communism humor for the simple reason that we still need to discourage this evil ideology from gaining more adherents. And since people don’t like to be mocked and ridiculed, it’s good to use humor to make Marxism toxic. We have three items today, starting with some very clever Twitter satire. The millions of people who starved to death under Mao’s reign in China and during the oppression of the Ukraine certainly wouldn’t laugh at this joke, but I found it amusing. Next, we have one of Fidel’s chief butchers. Vapid college kids may put Che Guevara on a t-shirt, but the rest of us should put his image in urinals. 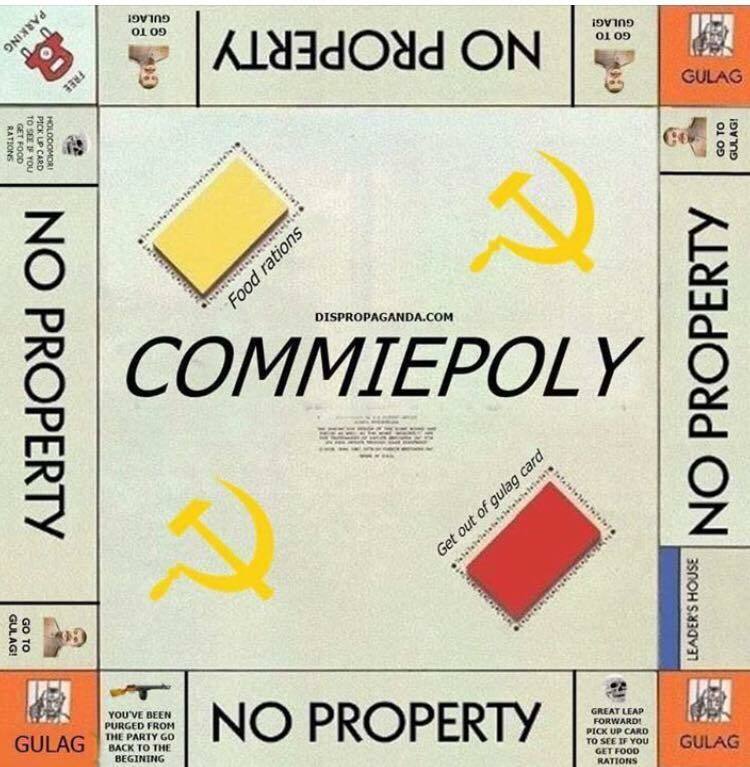 Here’s the communist version of monopoly, featuring many chances to go the gulag. But if you’re lucky, you get food rations! My only quibble is that “pay luxury tax” is a real thing in the real Monopoly. Certainly seem that it also belongs in the commie version. P.S. Previous collections of ant-communism mockery can be found here, here, and here. I love the communist monopoly! I’d replace the car in parking with a CZ moped. More targets should include the game of Risk, Easy Bake Ovens, and The Settlers of Catan. Go for it. Great Stuff as always.